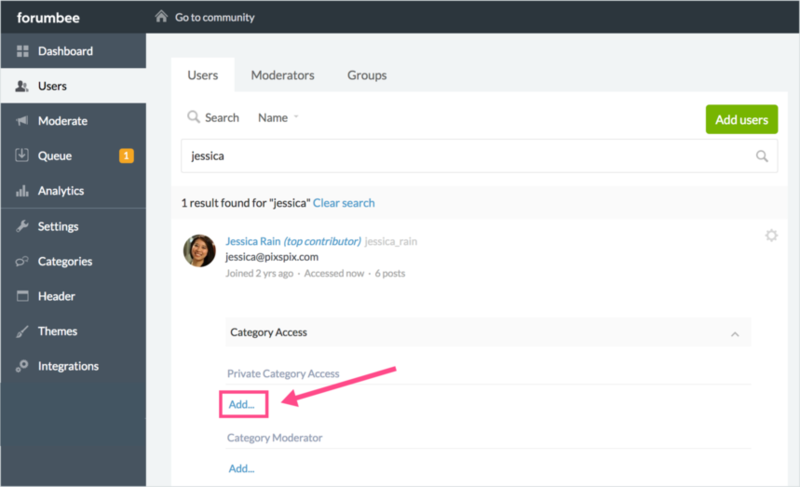 To set a category to private, go to Admin > Categories. 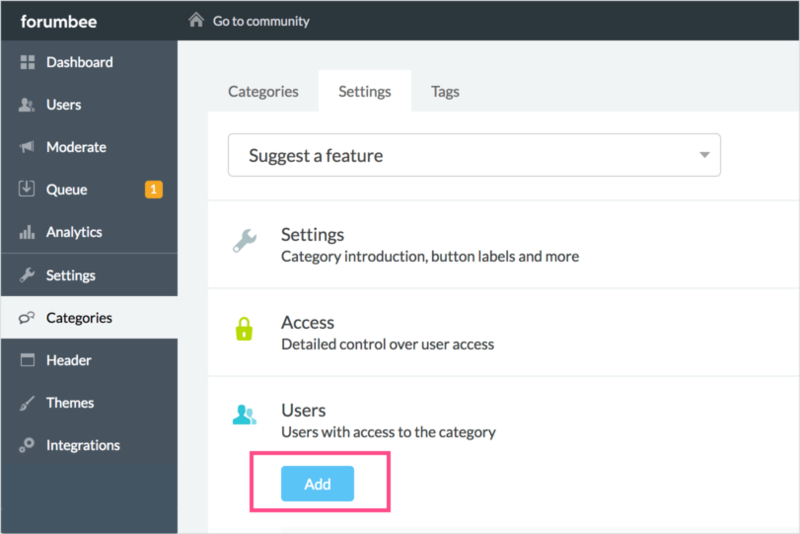 Select the category and expand the Access section. Select Specific members and click Save. 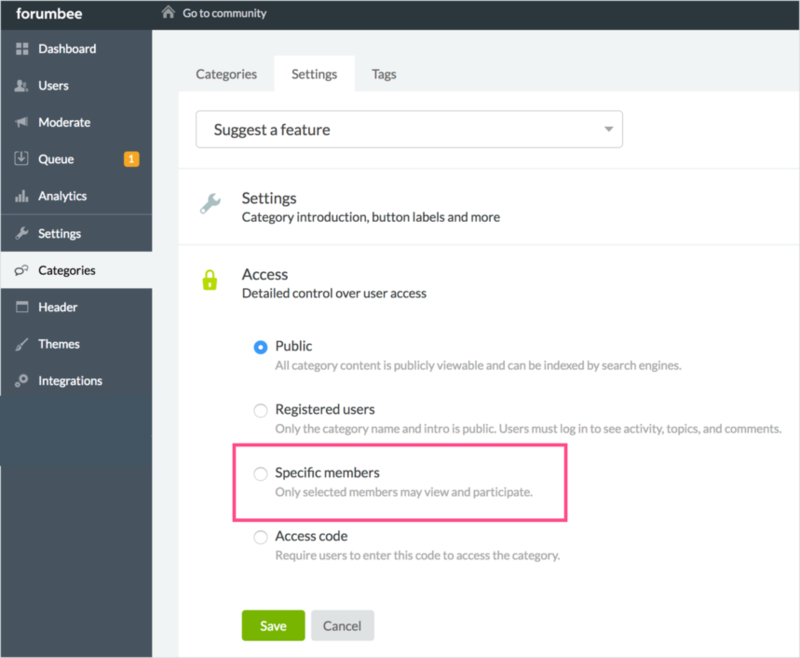 There are several ways to grant user access to a private category. From Category Settings > Users, click Add and paste a list of user email addresses. Can't see the option to grant specific user access on the Trial version I'm on - is it only available when I go to full paid version? Hi Julia , thanks for your question! Private categories are available in the trial but only for Premium and Enterprise plans. You can upgrade by going to your Account page. Thank you!